Enjoy Your Workouts With a Side of Sunshine! Subscribe for breaking news and weekly issues! Looking to pickup a copy of our latest issue? The Taste of the Valley is right around the corner! Have you gotten your tickets yet? 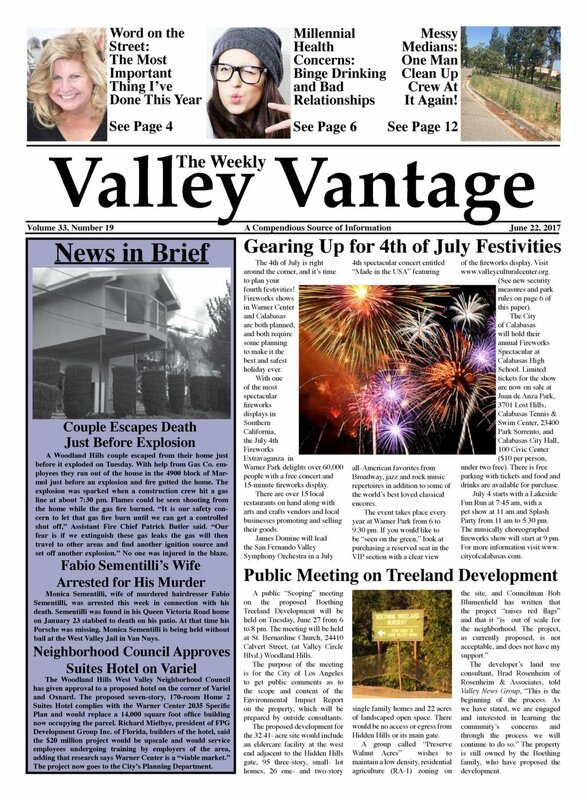 Valley News Group consists of three community papers under one banner serving the San Fernando Valley. It is essentially one paper zoned to three different areas: The Warner Center business community, Valley residents south of Ventura Blvd and the Las Virgenes communities of Calabasas, Hidden Hills, The Oaks and Agoura. Published every Friday, the papers are sold as a group with a combined circulation of 20,000 and an additional online subscription base of over 10,000. Copyright 2019 Valley News Group. Powered by Cowe Consulting.